We've made measurable progress in the past week! 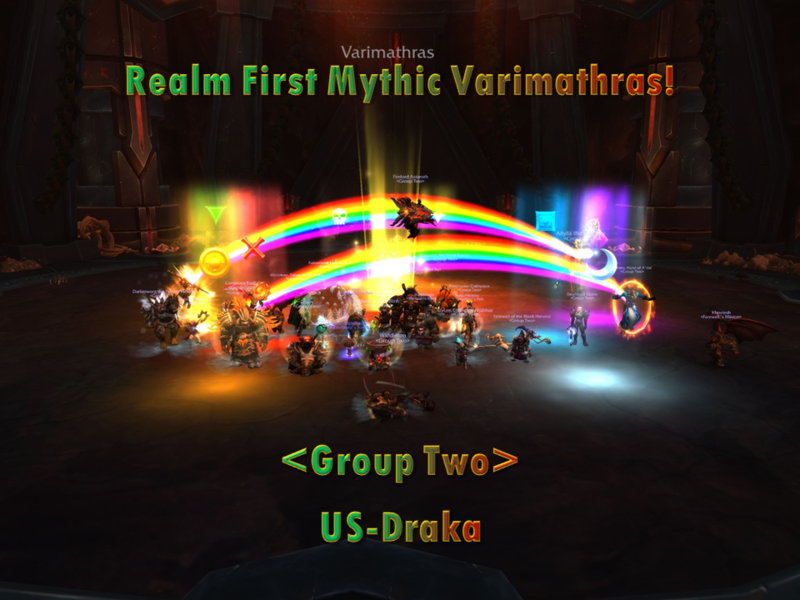 This past Thursday, we managed to down Varimathras for the first time on Mythic. Once everyone had the dance down and the markers were in good spots, everything fell together very well. This allowed us to start work on Coven and finish work on them this past Tuesday, as properly managing adds on this fight wasn't too much of an issue for us. Very nice work on everyone's behalf (Except maybe mine. 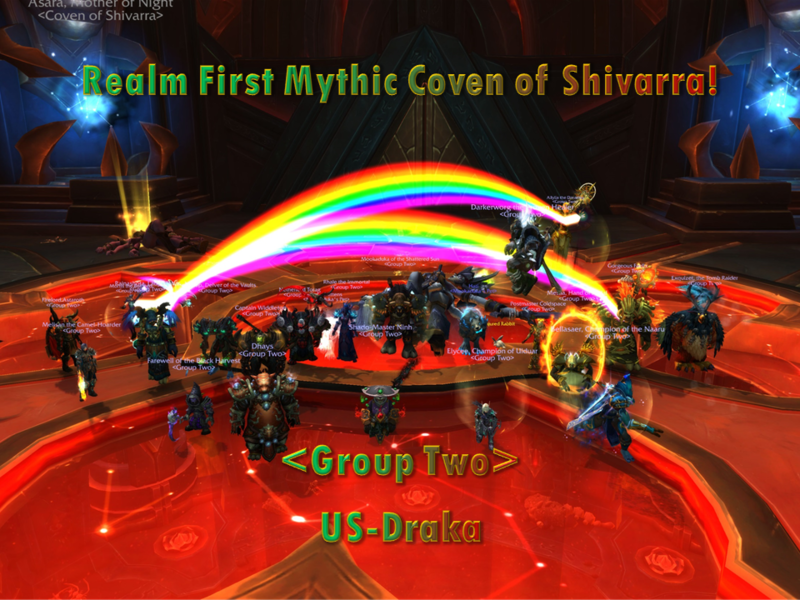 If I wasn't the raid leader I probably shouldn't have even been there for Coven as my DPS was trash and I died twice.). Next we begin work on Aggramar, who will be a very difficult encounter. We are currently at the first transition as of progress this past Tuesday. We hope to push farther into the encounter this coming Thursday with a full 3 hours available to us for progression. It's up in the air if we'll extend lockout or not to continue work on him, but chances are we'll go with a reclear next week while we wait on Viperx's return from travel.